Like a sweet, fragrant oasis, this bouquet will be a dream come true! 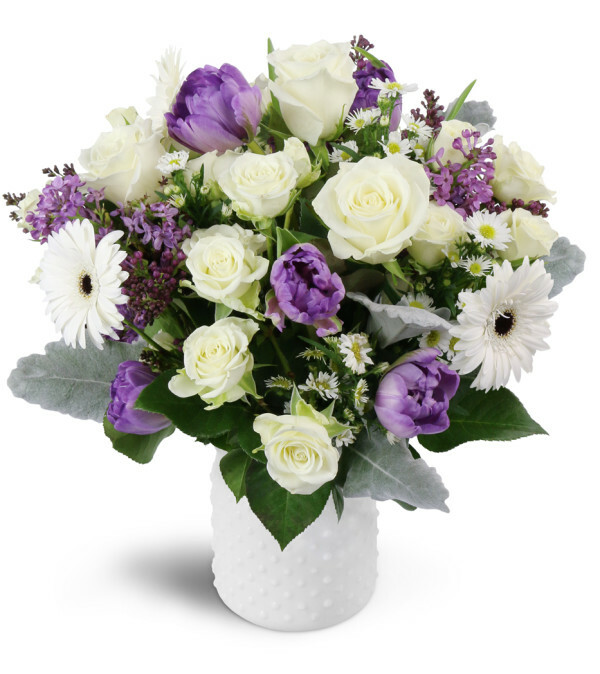 With sweet white spray roses, lovely purple tulips, and more, this is a wonderful gift to send your warmest wishes for any occasion. Delivered on time and arranged perfectly. So happy with this purchase. Diane's Flowers & Gifts is a Lovingly Florist in Santa Ana. Buying local matters. Discover how Lovingly supports local florists. Copyrighted images herein are used with permission by Diane's Flowers & Gifts.